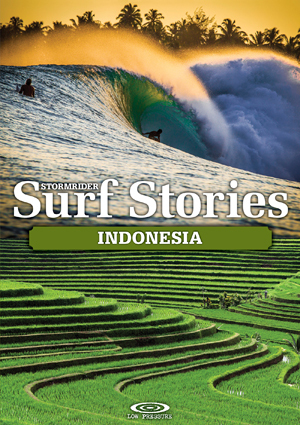 The offshore islands of Nias and the Mentawais have been under the surf media spotlight for years, while Sumatra's mainland has remained off the radar of most travelling surfers. Despite an ideal orientation to Indian Ocean swell hitting the contoured coastline of the fifth biggest island in the world, Sumatra remains a quiet surfing backwater off the beaten Indonesian track. Sumatra has a reputation for being wild, with dense jungle cloaking the mountains and the west coast of Lampung lies uncomfortably close to Krakatau, responsible for the most violent volcanic eruption ever recorded (1883) accompanied by 120ft (40m) high waves. The area remains scarcely populated, takes hours to get to and is rarely visited by tourists, but the fishing town of Krui has a growing reputation as the spot to hang out for the accessible lefts of Ujung Bocor and the heaving barrels of Way Jambu. Roaring Forties lows send plenty of 6-12ft (2-4m) swells April-October. The SSW direction is perfect for this SW facing area. Off-season is rarely flat because of the Southern Ocean’s ability to produce constant swells in the 2-6ft (0.6-2m) range. Cross-shore winds are the rule as Lampung means “place of the southerly winds”. The SE trade-season starts in May with mild winds getting stronger towards the end of the season in October. NW winds dominate the rest of the year. Tides affect the way some spots break and how hard you'll hit the reef if you fall. There is a big tide and a small tide every day (mixed) so a tide table comes in handy, but don't expect to find one locally. Christmas Island (Aus) tidal charts can be found on the net and are relatively accurate. This is a wet, tropical climate. The dry season, May-Oct is the best time to visit, with SE trades, clear skies nearly everyday and the occasional evening thunderstorm. The rainy season is a worry for inland travellers since the mountains are shrouded in clouds and rainfall in the highlands can dampen travel plans. On the coast, mornings can have drizzle whereas afternoons get intense rains or alternatively it can just tip down all day. Strong equatorial sunshine, intense humidity and loads of insects are a given. As for the water temperature, booties will be the only neoprene you need year-round. It's all about nature as you're surrounded by the Bukit Barisan National Park. Walk the beautiful beaches, bike from one village to the other, cruise the local market in Krui or stay wet by going fishing or snorkelling. Ombak Indah Losmen runs nature treks showing traditional agricultural practices, tours to hot springs, or explore the national parks on an elephant’s back. Close reef inspections are unavoidable, especially at low tides and at the treacherous Way Jambu. Check out the garbage thrown in Krui's river, explaining why rivermouths are off limits after the rain. Chloroquine-resistant malaria is a risk throughout Sumatra, so take appropriate prophylaxis. This is not a tourist area, take everything with you! 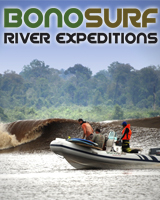 There's no bank to change money, very limited internet access and no surfshop. You’ll find wax & leashes at Ombak Indah. Water is warm, but a shorty provides protection against reef cuts and wind chill. English isn't widely spoken; get a Lonely Planet Indonesian phrasebook and start learning.